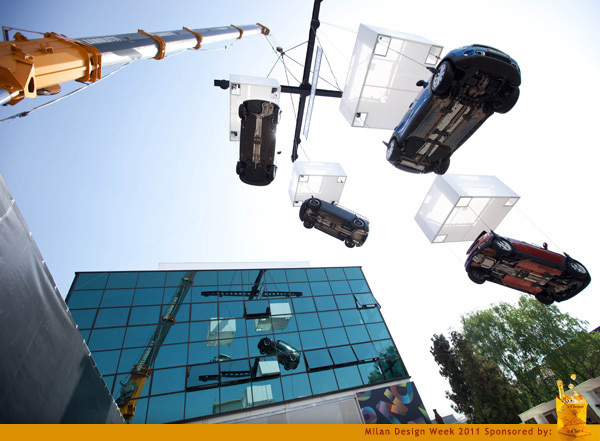 Thanks, Veuve Clicquot, for sponsoring our Milano Design Week coverage! That cute little icon up there is their new Clicq’up. 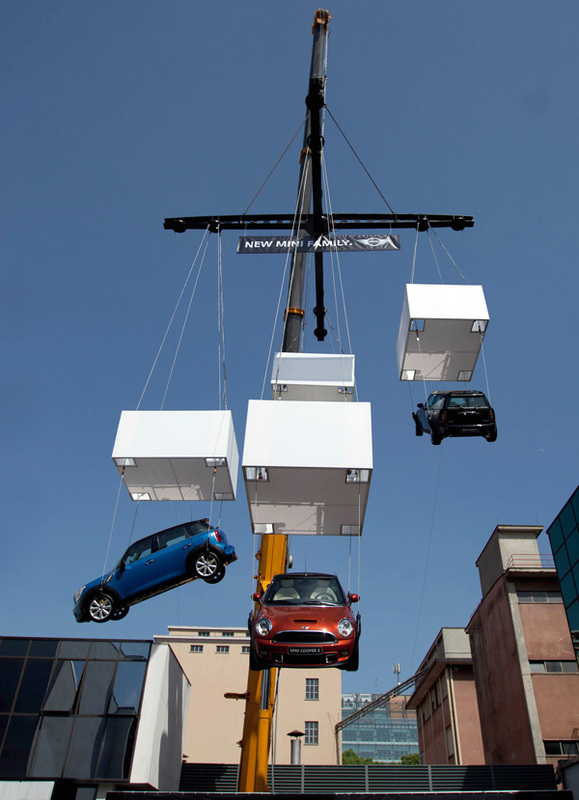 Hard to miss, yet so adorably cute ~ this cluster of crane suspended Mini Coopers are hanging out in Milan! 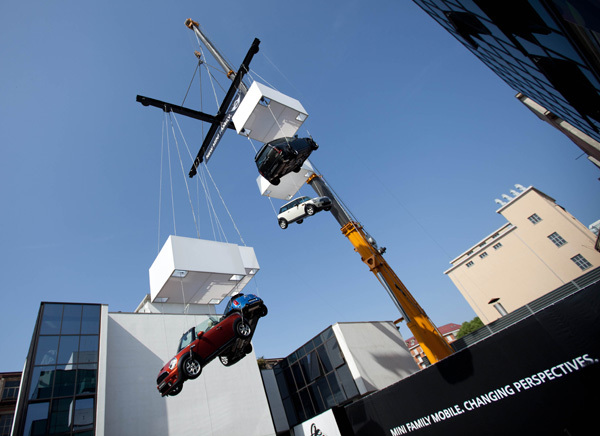 And for whatever reason, i’ve been having far too many conversations about hoisting cars up on to roofs and what not with cranes, so had to share this display! See more pics from other angles on the next page! Fascinating! I’d love to see this. Art? Advertising? Ephemeral architecture? Either way, it is eye-catching. Thanks for sharing!